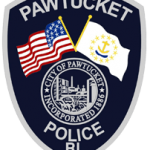 Cranston, RI – Colonel Michael J. Winquist, Chief of the Cranston Police Department, announces that the Cranston Police Department arrested a Cranston man who struck a Cranston Business owner and his son causing serious bodily injury. Willard Whiting, age 45, of 200 Cannon Street Apt. 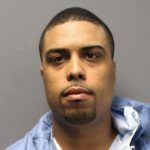 132, Cranston, RI was charged with one count of Felony Assault on a person over 60 for assaulting the owner, and one count of Felony Assault on a person causing serious bodily injury for assaulting the son. On July 22, 2018 at approximately 1:00am Cranston Police contacted Cranston Collison, a tow agency on the police departments tow list to remove a vehicle in violation from St. Mary’s Feast. The tow agency removed the vehicle which was a convertible and had the top down. Once the tow operator transported the vehicle back to their storage yard, he contacted the owner of Cranston Collision in concern of leaving the vehicle outside in the event it rained. The owner and his son stated they would respond to their Cranston business located at 30 Walnut Grove Avenue, to cover the vehicle since the top was down and heavy rain was expected. The owner and his son arrived at their Cranston business at approximately 1:33am when they heard a male subject on the north side of the business later identified as Willard Whiting screaming and yelling at a female to get on the motorcycle. The disturbance and yelling continued and when the owner and his son approached them Whiting allegedly attacked the owner and his son causing serious bodily injury. When officers arrived they found the son badly beaten and bleeding profusely. A witness provided officers with the license plate of the motorcycle along with a description and indicated Whiting assaulted both victims and fled on a white Harley Davidson. 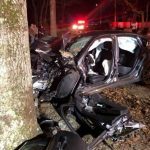 Both father and son were transported to RI Hospital immediately for their injuries. Officers responded to Whiting’s apartment and noticed the motorcycle in the garage with the blinker still on. Officers made attempts to raise Whiting, but no one would answer. A felony warrant was issued for Whiting after the victims positively identified him as their attacker. The owner was released after being treated and his son is still being treated for his severe injuries and will likely require a long-term recovery. On July 24, 2018 Whiting was arrested and transported to 3rd District Court to be arraigned on the two felony charges. He was ordered to have no contact with the victims and released on $5000 personal recognizance. He is due in Superior Court for his next court appearance on October 23, 2018.